Clariant has launched a new selective hydrogenation catalyst with extremely high ethylene selectivity and operational stability, OleMax 260. This catalyst has been developed specifically for ethylene producers with ‘front-end’ process configurations to increase yields and profits while ensuring safer and more sustainable operation. 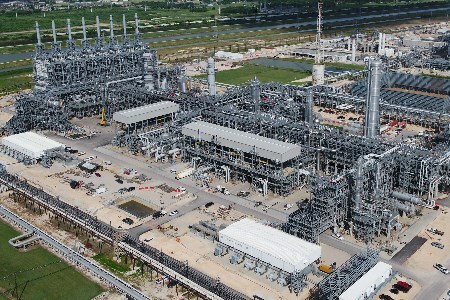 The first commercial start-up of OleMax 260 has been successfully achieved at the new ethylene production plant of The Dow Chemical Co. in Freeport, Texas, US. To date, this catalyst has delivered high performance and benefits, as expected. OleMax 260’s ultra-high stability impedes thermal runaway reactions that can lead to unplanned production outages. The high selectivity and consequent stability of this catalyst ensures reliable, on-specification performance over a wide operating range, even at the low CO levels typical of new cracking furnace technologies. A further advantage of OleMax 260 is a faster, more sustainable start-up. The catalyst’s simplified streaming procedure significantly reduces normal start-up-related hydrocarbon flaring and time to on-specification ethylene production. The catalyst is optimised to operate in de-ethanizer overhead hydrogenation process configurations. It can be used in a new build or as a drop-in solution in an existing facility. Image courtesy of Dow Chemical Co.